"The large cast perform heroically"
Award-winningly good! 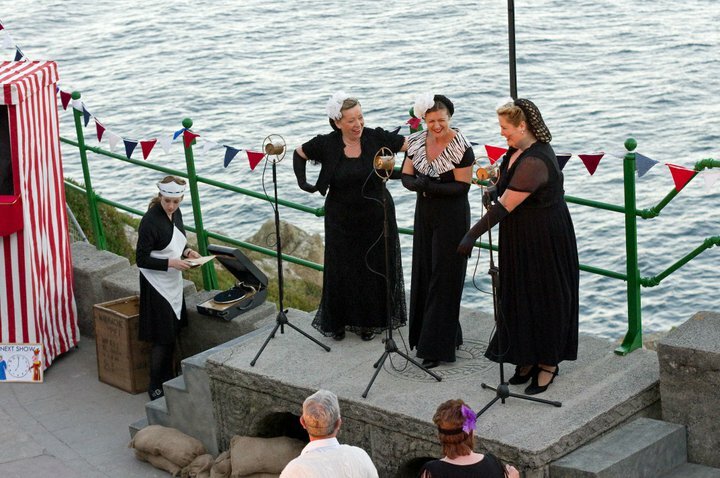 The beautiful Minack Theatre in Porthcurno has long been Derby Shakespeare Theatre Company's favourite holiday destination and this marvellous production from Alan Smith and Alicia Petty had all the ingredients of a classic British trip to the seaside. Music, merriment and romance combined to create a memorable and joyous show that brought home the 2011 Minack Theatre Trophy for Best Production - congratulations to all involved!